I am with Pulo Cuisine today and sharing my latest favorite recipe. 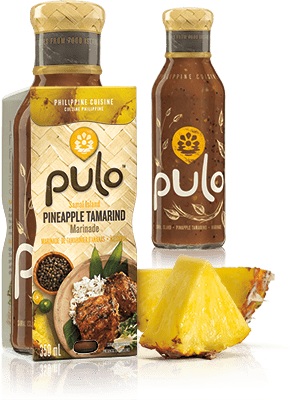 This is the simplest and most delicious of recipes using the Pineapple Tamarind marinade from Pulo Cuisine. This dish gives you all the flavor you need with very little effort. I first served the Pineapple Tamarind Chicken Lettuce Wraps at a block party and it was a huge success. The first appetizer to be gobbled down. The presentation has the WOW factor but is so simple. It is just a halved pineapple with the pulp taken out. Save that for smoothies or another use. 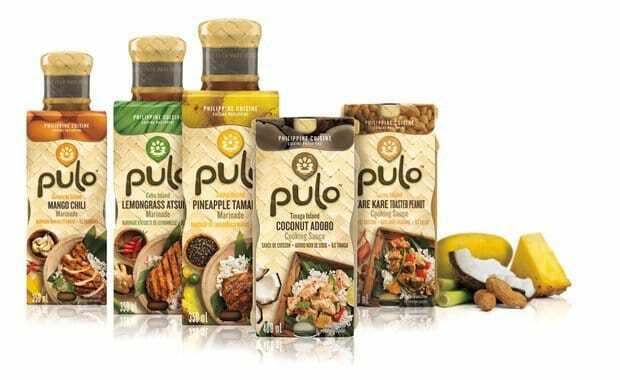 Pulo products provide an authentic collection of marinades and sauces that are inspired by the 7000 Islands of the Philippines. The country is a dynamic mixture of different cultures: Malay, Chinese, Spanish and Indian. These influences have all contributed to the richness of Philippine cooking. The Pineapple Tamarind marinade marries sweet and sour perfectly and finishes off with a refreshing fruity flavour. This marinade I have used with chicken, pork, beef and shrimp. It is so versatile and of course very easy to use!! Try this easy recipe this summer, your family will thank you for it, mine sure did!! 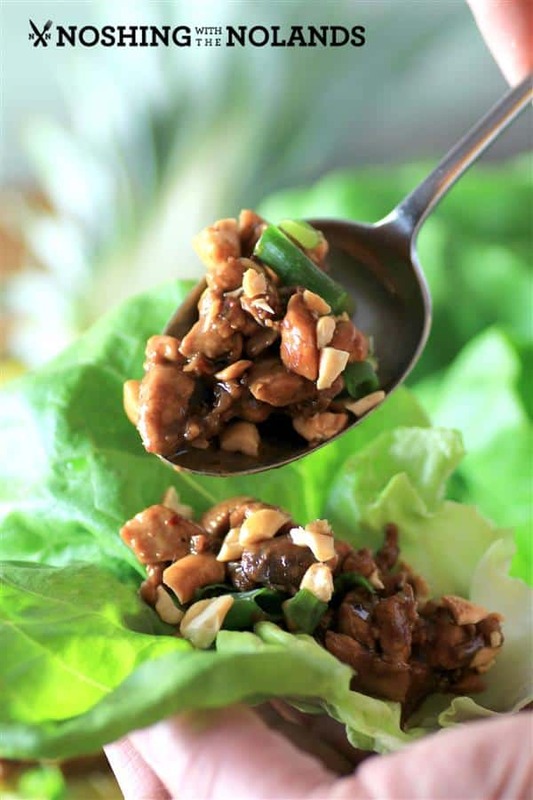 Crunchy, sweet, flavorful and healthy lettuce wraps that will keep them coming back for more! 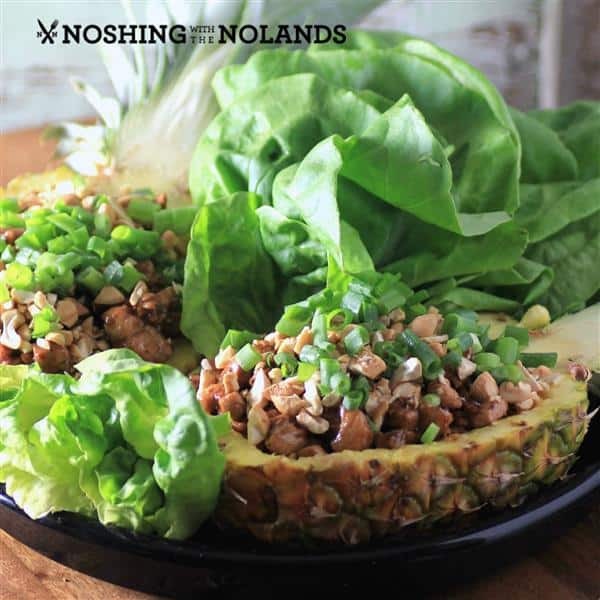 A delicious chicken lettuce wrap made easy with the help of Pulo Cuisine. Marinate the chicken in the Pulo marinade for 4 hours. When ready to serve, heat the canola oil in a large fry pan on high heat. Add the chicken and keeping and eye to not burn, stirring intermittently. Salt to taste if desired. Meanhwile slice the pineapple in half lenghthwise and scoop out the pulp. When the chicken is done and slightly caramelized place it in the halves of the pineapple. 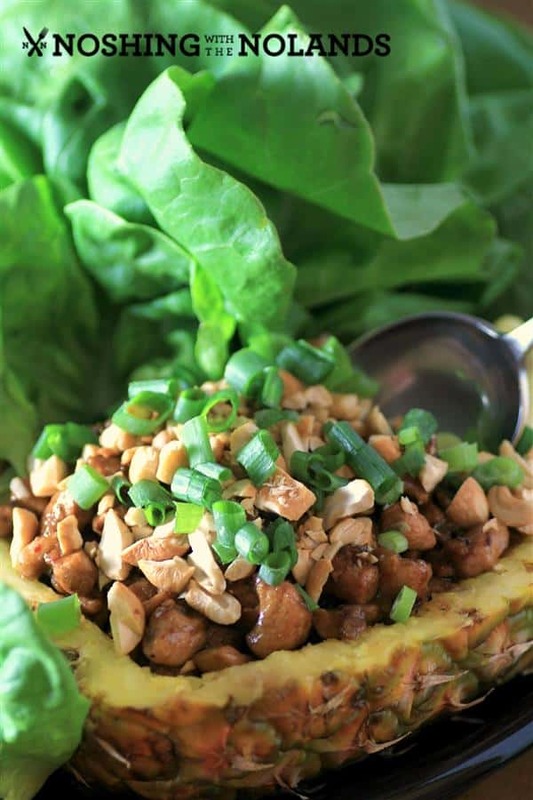 Top with cashews and green onions. Serve with the butter lettuce leaves. The Pineapple Tamarind marinade marries sweet and sour perfectly finishing off with a refreshing fruity flavour. This marinade I have used with chicken, pork, beef and shrimp. It is so versatile and of course very easy to use! !The Pineapple Tamarind marinade marries sweet and sour perfectly finishing off with a refreshing fruity flavour. This marinade I have used with chicken, pork, beef and shrimp. It is so versatile and of course very easy to use!! What a beautiful-presentable dish, Tara! I guess the pineapple tamarind marinade added a depth of flavor to the dish! Pinning! Thank you so much Hadia, the marinade adds an amazing flavor! I love lettuce wraps and love your presentation. Delicious. Thank you so much Janette, we really loved this recipe and will make it again and again. Oh wow that marinade sounds absolutely wonderful! Will have to keep my eyes open for that, I wonder if it’s available in the UK? It is still only available in Canada at the present time and it is wonderful. Hopefully it will come your way soon Becca, thanks! Pineapple and Tamarind chicken make a great flavorful combination. Your recipe looks heavenly. These appetizers are show stoppers indeed! We often use tamarind in the Philippines so I definitely dig the flavors here! This recipe looks fantastic Tara! I wish I could find that brand here in the states! What a great combination recipe Tara! I wish I could come through the screen, no leap to try this now! Love the presentation! Tara, I love this recipe. Wonderful flavors. I love the presentation as well. Fantastic. 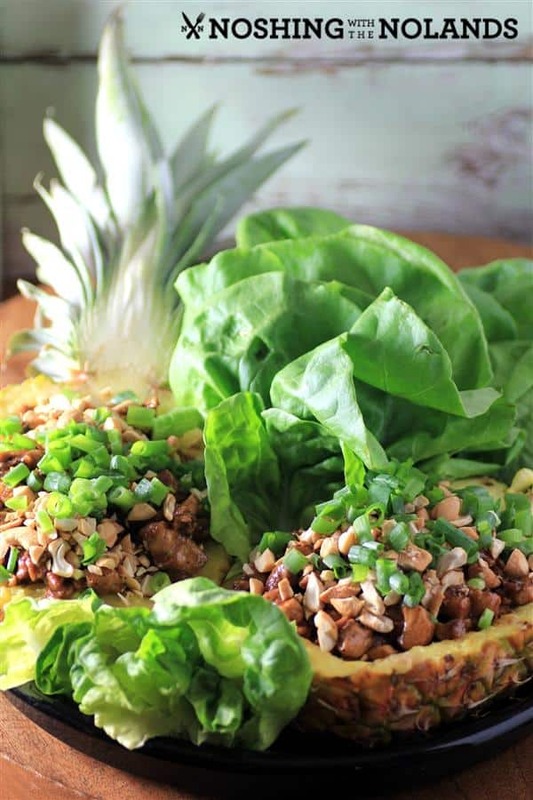 This is a beautiful presentation Tara and I love these lettuce wraps! What a beautiful presentation! The marinade sounds delicious! I love the presentation! Lettuce wraps are the perfect light dinner. What a fun recipe. I could totally see making this for a happy hour where everyone is sitting around chatting and nibbling on these! I love the sweet and salty combo. This dish looks fantastic!